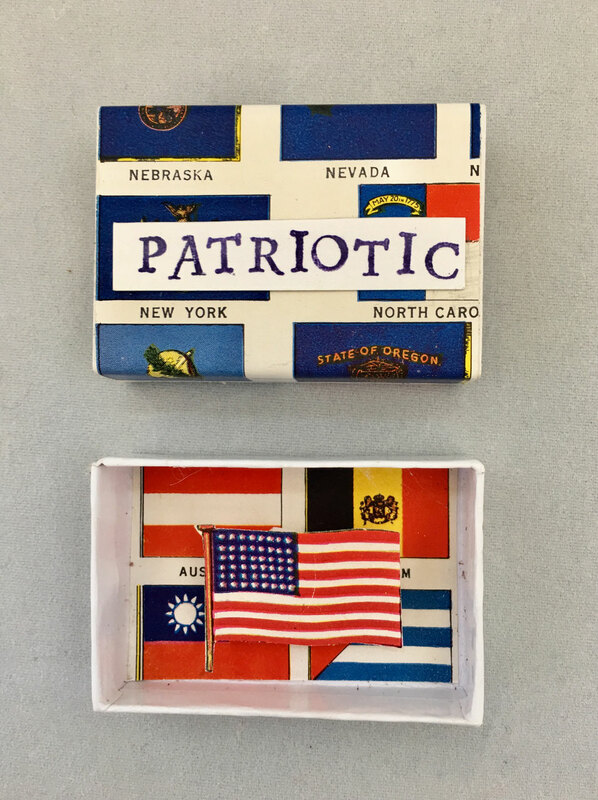 Shop Matchboxes - Website of found-object-art! A graceful example of what it is to soar. Made with dictionary pages and a dictionary image. One of a kind. A beautiful swan dive into the see illustrates this word. Made with vintage atlas pages and a dictionary image. One of a kind. Ever forget your math? Open this little box and remind yourself. Made with a matchbox and vintage math book pages. One of a kind. Matchbox Definition: Float. Made with vintage atlas page and a matchbook. He's sooo tall he can't fit in the box. This definition is made with a Geological Survey map and dictionary image. One of a kind. Unicorn's are not mythical beasts! They do exist but they are on the heavy side. 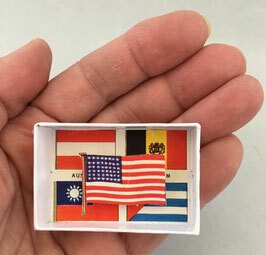 Made with a Geological Survey map, a matchbox and a tiny toy. 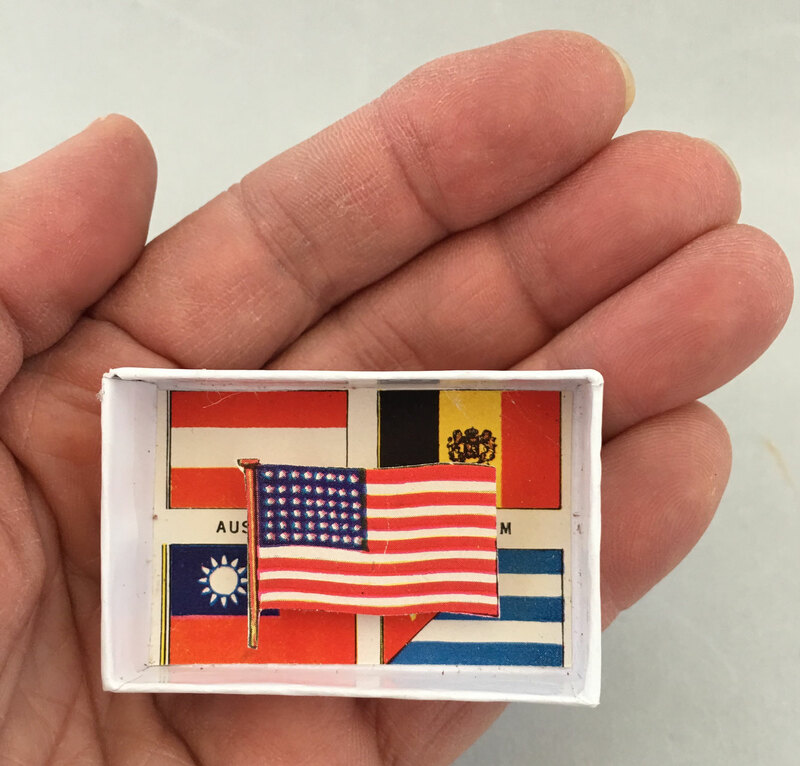 A tiny book with dictionary illustrations is the record-holder for the smallest library on earth. And you can own it! One of a kind. Need to be reminded that you're free? Search no further than your pocket! Made with a dictionary page and a matchbox. One of a kind. Everyone needs a tiny robot in their picket. Made with a matchbox and a plastic toy. Special Delivery! 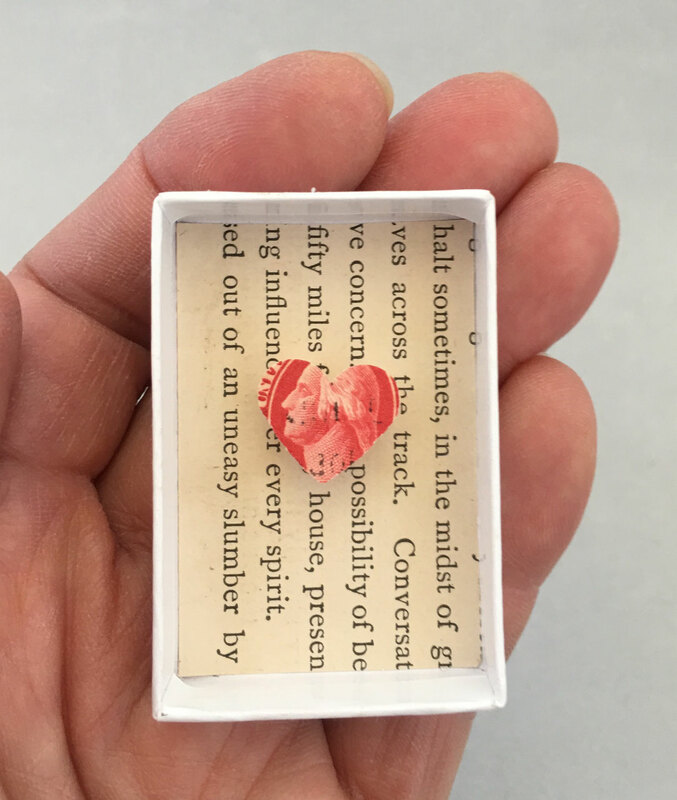 A tiny heart in a tiny box. Perfect for one you love. Dun, dun, dun, dun! It's Jaws! So tiny you can carry him in your pocket. Made with vintage atlas pages and a dictionary image. We could all use a little sparkle, right? Made with rhinestones, a dictionary page (with the word "sparkle" circled) and a matchbox. One of a kind. Need to know what "hungry" means? Just slide open the box and Mr. T is ready to dine. Here kitty, kitty! A beautiful puma resting in a tree, how more feline could it be? Made with dictionary pages and image. Take the plunge! A little tiny lady demonstrates how it's done inside the matchbox. One of a kind. Truly the first vegan. Made with a matchbox, Geological Survey map and a tiny dinosaur. One of a kind. What lurks under the sea? It's a diver of yore! One of a kind item. A creature with the cutest spots abides in this little box. One of a kind item. Four lanky legs belonging to a giraffe illustrate this word. One of a kind item. Inside rests a mother of pearl treasure. One of a kind item. Open the matchbook and see the rhythm of a tiny heart. Made with paste paper, a sine wave and a dictionary image. One of a kind. What could be more patriotic than our flag? Made with an encyclopedia image and a matchbox. One of a kind. Price includes tax and shipping. What's big? That's tight---a whale is pretty darn big. Made with a dictionary page and image. One of a kind. Pocket definition: scary! Imagine seeing this while swimming! Scary! Made with a matchbox and encyclopedia image. One of a kind. Carry part of a small child in your picket. Made with a doll part, paper bits and a matchbox. One of a kind. See a graceful swallow epitomize this word. Made with a dictionary page and image. One of a kind. Everyone needs a pocket-sized nerd. Made with a matchbox and yearbook images. One of a kind. Pocket definition: "Nest". 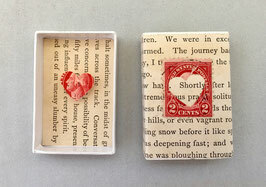 Made with a matchbox, a bit of moss, a vintage map bit and an old postcard bit. One of a kind. A big fish in a tiny pond. Made with vintage atlas pages and a dictionary image. One of kind. This pocket definition is made with a matchbox, a leedle rubber lamb and bits of scrap paper. One of a kind. Price include tax and shipping!